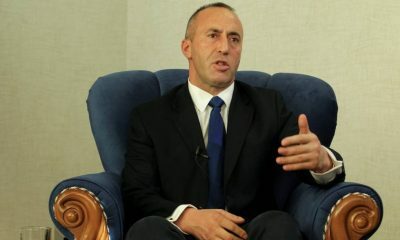 In a major confession revealed on Friday April 5th, Kosovo’s Prime Minister Ramush Haradinaj said his government’s policies serve US interests against Serbia and Russia, and he is only following Washington’s orders. “The Albanian people in all our lands are part of what America is leading. Throughout the global plan, we are together,” Haradinaj told the Albanian-language Gazeta Blic last Friday. “I am a soldier of America on the ground. I only carry out the orders,” the premier said. Haradinaj was a commander of the Kosovo Liberation Army (KLA) terrorist organization during the 1998-1999 conflict, struggling to separate the Serbian province to make it an independent Albanian state. In June 1999, after a 78-day NATO air war, Serbia allowed for UN peacekeeping forces to enter – which in practice meant NATO took Kosovo and handed it over to the KLA. “He’s telling the truth,” said Paris-based political analyst Nikola Mirkovic, adding that Haradinaj is openly saying what he has been over the past 20 years since the US and NATO trained, armed and funded the KLA. “Kosovo is clearly an American protectorate today, and Haradinaj is just telling the truth, he’s just an American soldier,” the analyst told RT. “it is always the American ambassador at the end of the day who is receiving the final word and who is deciding what is happening,” he added. Kosovo is not recognized by most of humanity, including Russia, China and India, as well as Serbia itself, noted Mirkovic. Washington’s policy since 2008, regardless of which party is in power, has pressed Belgrade to recognize Kosovo as an independent state. “Why NATO bombed Yugoslavia 20 years ago? Because it wanted a position in the Balkans, it wanted a military base like Bondsteel,” Mirkovic explained, referring to the huge US base in southeastern Kosovo. Haradinaj would have been unaware of the national prayer breakfast in Washington in February, supposedly on account of tariffs. There were even reports that he and another KLA commander – Kosovo’s president, Hashim Thaci – were being denied visas to enter the United States and address the issue. However, Haradinaj was able to travel to the US last weekend by posting a photo of Detroit on his Twitter account. His plans during this US visit seem to include only meetings with members of the Albanian diaspora, however, rather than any meeting with officials of the administration of US President Donald Trump.